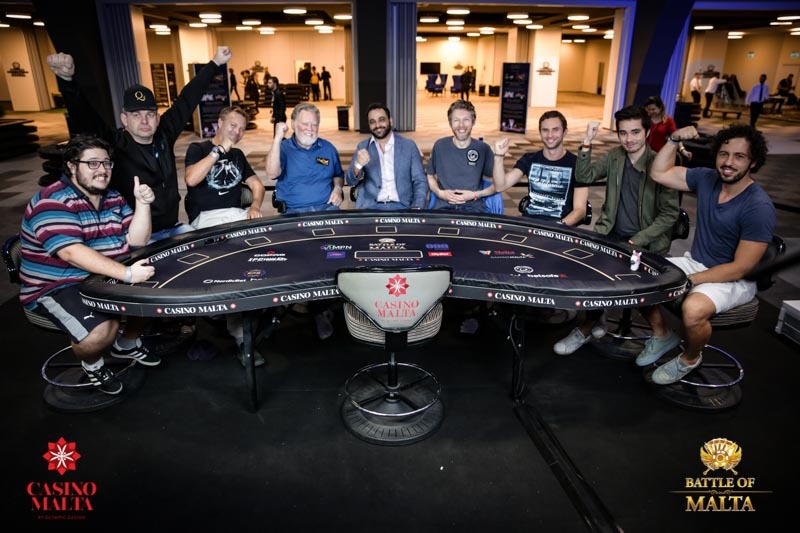 And just like that the 2018 Battle of Malta Main Event is down to 9 players! Paring 3,816 down to the final table has been no small feat over the past 5 days with long days of intense action, huge hands and painful busts sending the bulk of the field to the rail. The final battler to be sent to the rail today on Day 3? Brit Andrew John Hedley, who just missed claiming the final spot at the final table at the hands of Frenchman Maxime Cavenet – a not-unfamiliar destiny for many players today. Cavenet put on a show all day today to rack up the biggest stack heading into the play down tomorrow. He bagged up a dazzling 25,925,000 chips that makes him the decided chip leader to start the day. In second is Lithuanian Mantas Urbonas, winner of the UCOP Main Event earlier this year, with 15,900,000 chips. Check our full Battle of Malta Live Update page for a rundown of all the action of the day. To catch all of tomorrow’s action in thrilling, cards-up glory, tune in to the Battle of Malta Facebook page at 2pm local time. We’ll have 5 cameras covering the action, revolving commentators and cards-up display on a 30-minute delay. A total of almost €900,000 will be paid out to players tomorrow and a full 1/3 of that will go to the winner (barring a deal). It’ll be a show not to miss! 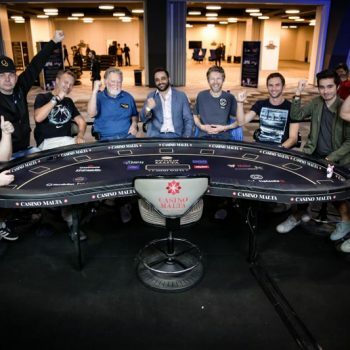 There are 877.000 Euros left to be distributed at the final table. All players have 23k secured, but there are 300k for the winner to grab. Will a deal be made? Possibly. With that much money on the line – up to 600 times the buy-in – a deal is rather likely. Maybe not immediately, but after a couple players busted. Numbers with help of an ICM Deal Calculator.